Good news for fans of the compact SUV genre. 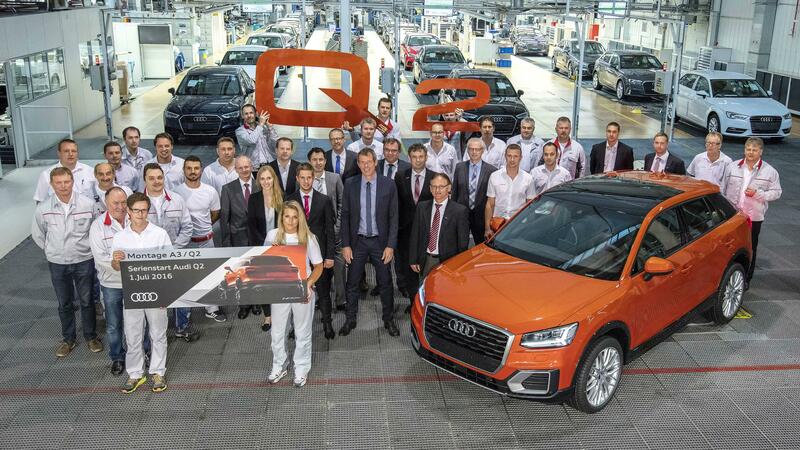 Audi’s smallest SUV, the Q2, has commenced production at the German automaker’s massive manufacturing facility in Ingolstadt. The small SUV made its worldwide debut at the 2016 Geneva Motor Show, and with its introduction Audi’s burgeoning portfolio will include a total of 13 models. The compact SUV is based on the MQB platform that also underpins the Audi A3. 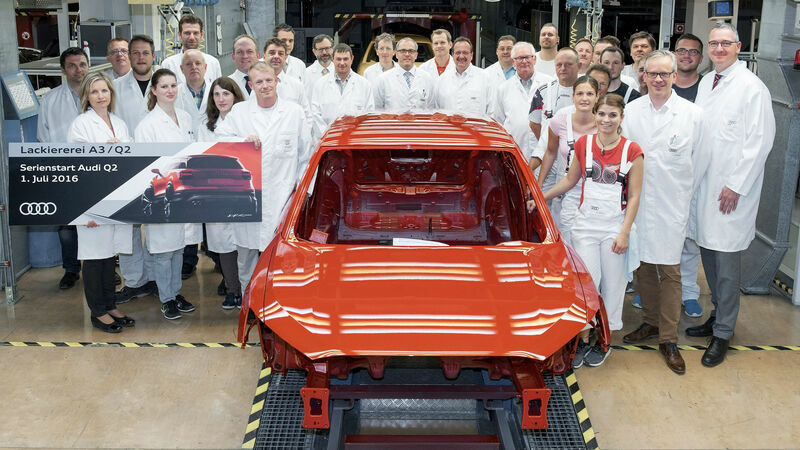 It is no surprise then, that the Q2 also shares its production process with the A3 – going through the same body shop, paint shop and assembly section. The decision to integrate production of the Q2 with the existing line called for major modifications that had to be carried out with production being simultaneously underway. Chief among them being the installation of a fully automatic module store for the drivetrain that also increases local storage capacity. A complete new plan for logistics was devised as well. With a solid foundation for production laid, Audi has gradually increased production to 450 units per day. The Q2 also attains significance as the first production car to be designed by Audi’s new design head Marc Lichte. The SUV is slightly longer than 4.1 metres and the front belies its size due to an imposing grille. The sides get brawny wheel arches, a sloping roofline and is characterised by short overhangs as well as a contrasting colour for the C-pillar. The exterior design is rounded off by squarish taillights, boot-lid spoiler and chrome-plated exhaust pipes. Audi claims that the interior will combine design with a high level of functionality. The cabin will feature the regular fare expected from the German brand comprising of high-end connectivity, infotainment and assistance systems. A total of six engines will be offered (three units of petrol and diesel each) with power outputs ranging from 116bhp to 190bhp. The Q2 will be launched by the end of this year and will come to India by early 2017. Once in the market, it will go head-to-head with the Mercedes-Benz GLA.